Before the 1970s few states, including Idaho, had religious exemptions from child neglect and abuse laws. But in 1971 Idaho enacted laws exempting parents from criminal injury, nonsupport, and manslaughter charges if they relied on “spiritual means alone” to heal their sick or injured child. There is no evidence that legislators took public testimony on these laws, expressed any concern about legalizing preventable deaths of children, or even discussed the laws at all. The Christian Science lobbyist Lin Paporello recently testified that her church “had a role” in getting the laws enacted. The law uses Christian Science terminology, but it was written broadly enough to allow anyone relying on prayer to deprive a child of lifesaving medical care. In 1975 more exemptions were enacted in Idaho’s civil code. At that time, the U.S. Department of Health, Education and Welfare (HEW) and later its successor the U.S. Department of Health and Human Services (HHS) required states to pass a religious exemption to child neglect in order to receive federal money for their child protection programs. 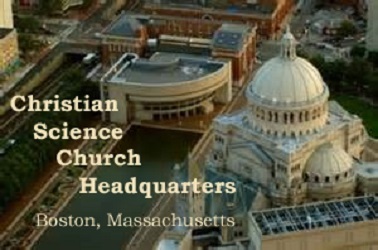 HHS has admitted that the Christian Science Church was the only organization asking for this requirement. And though due largely to the efforts of children’s rights advocates HHS discontinued the requirement in 1983, the damage had been done and nearly all states had a religious exemption. Again through the efforts of advocates, several states have repealed them. Tennessee was the most recent in 2016. And still others have at least modified some of the most dangerous provisions.